Most buyers just don’t have the funds to buy a house for cash, and inevitably the bank gets involved in most transactions. If you are saying to yourself I’m selling my house for cash in Arlington TX, we can help you to determine when it makes sense to do that, and when it pays you to turn down a cash offer. Even if an investor has the cash to buy the house, it’s easier and less of a risk to let the bank take some of that risk. Our goal has always been to help to build strong communities in and around the Arlington area, and because of that we try not to spread ourselves too thinly. 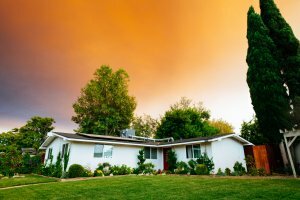 We will pay you a fair cash price for your Arlington home, regardless of its condition, and of course there are several advantages to selling your house quickly, as is, for a cash sum. It’s all too common when selling your house to be right back at square one when the lender doesn’t approve your buyer for whatever reason, often after you have waited months to secure the sale. There is no commission payable on your part, as you aren’t listing your home with a real estate agent. Our business is buying houses just like yours for cash. We don’t waste your time, and you don’t have to waste yours having a lot of people come to look at your house who aren’t serious about making an offer. And we will take care of all that often confusing and definitely tedious paperwork so you don’t have to. Whether you want to look at examples of recent projects we have been involved with, or you would like to see references from previous customers, we are more than happy to oblige. Over the years, we have developed a reputation as one of the leading house buying companies in Arlington TX, and we take pride in having such a positive reputation. It takes a lot to improve an entire neighborhood, but we like to think we are playing an important part in doing just that, as well as helping local homeowners who need a quick sale. We can help you if you need to sell your Arlington home fast, regardless of your reason for selling. For a no obligation consultation, call us today. It’s what we do – work with sellers who need a fast sale and we are good at it.